August 10, 2014 – (Western Region , Any major city/airport, , USA) – Government Accounts manager Click here for full details. August 9, 2014 – (East Hartford, CT, East Hartford, CT 06108, UNITED STATES) – Millwright Click here for full details. August 9, 2014 – ( Norfolk, Virginia, United States , 23501 , Norfolk, Virginia 23501, United States) – Ballistic Missile Defense (BMD) Team Lead Click here for full details. August 8, 2014 – (, Pensacola, Florida , US) – Information Dominance Training Lead Click here for full details. August 8, 2014 – (US Merchant Marine Academy, Great Neck, NY 11024, USA) – Sports Information Director Click here for full details. August 8, 2014 – (, Fallon, Nevada , ) – SERVER ADMINISTRATOR II Click here for full details. August 8, 2014 – (, Pensacola, Florida , US) – Intel Training Lead Click here for full details. August 8, 2014 – (, Fallon, Nevada , ) – SERVER ADMINISTRATOR I Click here for full details. August 8, 2014 – (, Fallon, Nevada , ) – NETWORK ADMINISTRATOR I Click here for full details. August 8, 2014 – () – Resident Systems Support Specialist (RS3) Click here for full details. August 8, 2014 – (, Norfolk, Virginia , US) – Aviation Range Support Lead Click here for full details. August 8, 2014 – (, Norfolk, Virginia , US) – SLAMEX Program Support Lead Click here for full details. August 8, 2014 – (, Norfolk, Virginia , US) – Academic Training Lead Click here for full details. August 8, 2014 – (, Norfolk, Virginia , US) – Navy Live Training Exercises/Event Lead Click here for full details. August 8, 2014 – (, Norfolk, Virginia , US) – Ballistic Missile Defense (BMD) Team Lead Click here for full details. August 8, 2014 – (, Alexandria, Virginia , United States) – Cost Management Lead Click here for full details. August 8, 2014 – (, Tupelo, MS , USA) – Licensed Clinical Social Worker for Tupelo, MS – under contract bid Click here for full details. August 8, 2014 – (, Tupelo, MI , ) – Licensed Practical Nurse for Tupelo, MS Click here for full details. August 8, 2014 – (, Tupelo, MI , USA) – Registered Nurse for Tupelo, MS Click here for full details. August 8, 2014 – (, Falls Church, Virginia , United States) – Program Acquisition Manager Click here for full details. August 8, 2014 – (, Alexandria, Virginia , United States) – Proposal Manager Click here for full details. August 8, 2014 – (, Washington, DC , United States) – Invoicing Specialist Click here for full details. August 8, 2014 – (, Coppell, Texas , United States) – Help Desk Associate Click here for full details. August 8, 2014 – (, Boston, Massachusetts , United States) – Senior Consultant, Project Management Click here for full details. August 8, 2014 – (, PHILADELPHIA, PA 19153, ) – Now Hiring Fuel Quality Control Technician at Philly Int’l Airport!! Click here for full details. August 8, 2014 – () – Military Analyst I/Alternated Team Lead – CASCOM SCoE TED Mitigaton (REQ#2014-8242) Click here for full details. August 8, 2014 – () – Military Analyst II/Team Lead – CASCOM SCoE TED Mitigation (REQ# 2014-8241) Click here for full details. August 8, 2014 – (The University of Texas at El Paso, El Paso, TX 79968, USA) – Research Scientist – Assistant – 10018732 Click here for full details. August 8, 2014 – (East Coast, Stratford, CT , ) – Environmental and Electromagnetic Interference Qualification Test Engineer Click here for full details. August 8, 2014 – () – Program Manager Click here for full details. August 8, 2014 – () – IA/Security Analyst Click here for full details. August 8, 2014 – () – Enterprise Architect Click here for full details. August 8, 2014 – () – Military Analyst/Site Lead (SSI) TED Mitigation (REQ # 2014-8240) Click here for full details. August 8, 2014 – () – Military Analyst I/Alternate Team Lead – (SSI) TED Mitigation (REQ# 2014-8292) Click here for full details. August 8, 2014 – () – Military Analyst II/Team Lead – (SSI) TED Mitigation (REQ# 2014-8239) Click here for full details. August 8, 2014 – (North Carolina Central University, Duhram, NC 27707, US) – Maintenance Mechanic (Facility Maintenance Technician – Mechanical Trades – 100853) Click here for full details.  August 8, 2014 – (, Dahlgren, VA 22448 , ) – Tactical Systems Engineer – 2 Vacancies (1837-205) Click here for full details. August 8, 2014 – (, Pearl Harbor, Hawaii , US) – Fleet and JJT Support Lead (PAC) Click here for full details. August 8, 2014 – (, Norfolk, Virginia , US) – Link/Air Defense BMD Training Policy Lead Click here for full details. August 8, 2014 – (, Suffolk, Virginia , US) – Navy Business Systems Analyst Click here for full details. August 8, 2014 – ( Des Moines, Iowa, United States , 50009 , Des Moines, Iowa 50009, United States) – Maintenance Technician Click here for full details. August 8, 2014 – (LAX, Los Angeles, CA , USA) – Information Service Representative Click here for full details. August 8, 2014 – (5187 Camino Ruiz, Camarillo, CA 93012, USA) – Business Development Analyst for Camarillo, CA Click here for full details. August 8, 2014 – ( Seattle, Washington, United States, 98101 , Seattle, Washington 98101, United States) – Development Events Corporate Relationship Manager Click here for full details. August 8, 2014 – ( Renton, Washington, United States, 98055 , Renton, Washington 98055, United States) – Customer Service Representative Click here for full details. August 7, 2014 – (North Carolina Central University, Duhram, NC 27707, US) – Property Security Officer – 100841 Click here for full details. August 7, 2014 – (, Quincy, MA , USA) – Technical Tester Click here for full details. August 7, 2014 – (, Boston, MA , USA) – Systems Network Administrator Click here for full details. August 7, 2014 – (North Carolina Central University, Duhram, NC 27707, US) – Groundkeeper – (Building Environmental Services Technician – 102014) Click here for full details. August 7, 2014 – (, Jacksonville, Florida , US) – Navy Analyst for Lessons Learned Activities Click here for full details. August 7, 2014 – (, Norfolk, Virginia , US) – Integrated Maritime Portable Acoustic Scoring and Simulator Program Support (IMPASS) Lead Click here for full details. August 7, 2014 – (Anchorage, AK, Anchorage, AK 99503, ) – Estimator – Construction (1744-205) Click here for full details. August 7, 2014 – (, Norfolk, Virginia , US) – Navy Analyst for Lessons Learned Activities Click here for full details. August 7, 2014 – (, Pearl Harbor, Hawaii , US) – Navy Analyst for Lessons Learned Activities Click here for full details. August 7, 2014 – (, Norfolk, Virginia , US) – Joint Expeditionary Tactical Trainer (JETT) Lead Click here for full details. August 7, 2014 – (The University of Texas at El Paso, El Paso, TX 79968, USA) – Administrative Assistant – 10022380 Click here for full details. August 7, 2014 – (, Norfolk, Virginia , US) – Fleet Synthetic Training (FST) Lead Click here for full details. August 7, 2014 – (, Norfolk, Virginia , US) – War-Gaming Director Click here for full details. August 7, 2014 – (, BROADVIEW, IL 60155, ) – FULL TIME – Inside Shipping & Receiving Warehouse Clerk Click here for full details. August 7, 2014 – (, Tampa, Florida , US) – Special Operations Requirements (J8) SME and Team Lead Click here for full details. August 7, 2014 – () – Helicopter Pilot Click here for full details. August 7, 2014 – (, Temecula, CA , USA) – Tank Delivery Driver (Military Veteran Preference) Click here for full details. August 6, 2014 – (, Fallbrook, CA 92028, USA) – IT System Administrator Click here for full details. August 6, 2014 – (Wright Patterson Airforce Base, Beavercreek, Ohio , United States) – Portfolio Management (PfM) Analyst Click here for full details. August 6, 2014 – (Wright Patterson Airforce Base, Beavercreek, Ohio , United States) – PM Support Click here for full details. August 6, 2014 – (Wright Patterson Airforce Base, Beavercreek, Ohio , United States) – PM Support Analyst Click here for full details. August 6, 2014 – (Wright Patterson Airforce Base, Beavercreek, Ohio , United States) – FIAR Consultant Click here for full details. August 6, 2014 – (, New Carrollton, Maryland , United States) – Project Scheduler Click here for full details. August 6, 2014 – () – Systems Engineer Click here for full details. August 6, 2014 – () – Testing Lead Click here for full details. August 6, 2014 – () – Cost Accounting Tester Click here for full details. August 6, 2014 – () – Real Property Tester Click here for full details. August 6, 2014 – (, Camp Pendleton, CA , United States) – Resident System Support Specialist (RS3) Click here for full details. August 6, 2014 – (, Oak Brook, IL 60523, United States) – Operations Support Specialist Click here for full details. August 6, 2014 – (, Norfolk, Virginia , US) – Sr Logistician Click here for full details. August 6, 2014 – (The University of Texas at El Paso, El Paso, TX 79968, USA) – Departmental Applications Specialist – 10021987 Click here for full details. August 6, 2014 – (The University of Texas at El Paso, El Paso, TX 79968, USA) – Director of Research (Raiser’s Edge) – 10060098 Click here for full details. August 6, 2014 – (, Oak Brook, IL 60523, United States) – Marketing Specialist Click here for full details. August 6, 2014 – (, Oak Brook, IL 60523, United States) – Cost Services Analyst Click here for full details. August 6, 2014 – (, Alpharetta, GA , US) – Java Software Engineer Click here for full details. August 6, 2014 – (Pearl Harbor, Hawaii, Honolulu, HI , ) – Calibration Readiness Coordinator Click here for full details. August 6, 2014 – (Naval Surface Warfare Center, Corona Detachment Seal Beach, Seal Beach CA. Some travel required., Corona, CA , United States) –Electronic Calibration & Maintenance Technician Click here for full details. August 6, 2014 – (, Seal Beach, CA , United States) – Computer Systems Analyst (DoD level 1) Click here for full details. August 6, 2014 – (Naval Surface Warfare Center, Corona, CA , USA) – Mechanical Calibration & Maintenance Technician Click here for full details. August 6, 2014 – (, San Diego, CA , United States) – Ship-Board Gage Calibration Team Lead Click here for full details. August 6, 2014 – ( Naval Surface Warfare Center, Corona, CA , USA) – Data Base Administrator (DoD IAT Level II) Click here for full details. August 6, 2014 – (Naval Surface Warfare Center, Corona Detachment Seal Beach, Seal Beach CA. Some travel required., Seal Beach, CA , United States) –Metrology, Calibration & Maintenance Engineer/Engineering Technician Click here for full details. August 6, 2014 – (, Pearl Harbor, HI , USA) – IT Specialist Click here for full details. August 6, 2014 – (, Pensacola, Florida , USA) – IT Specialist Click here for full details. August 6, 2014 – (, Crane, Indianapolis , USA) – IT Specialist Click here for full details. August 5, 2014 – (Mechanicsburg, PA, Mechanicsburg, Pennsylvania 17050, US) – Operations Manager – Distribution Center Click here for full details. August 5, 2014 – (Hub Group – Corporate, Oak Brook, Illinois 60523, United States) – Cargo Claims Coordinator Click here for full details. August 5, 2014 – (, Milwaukee, Wisconsin 53233, ) – Click here for full details. August 5, 2014 – (The University of Texas at El Paso, El Paso, TX 79968, USA) – Construction Manager – 10018671 Click here for full details. August 5, 2014 – (, Washington, DC 20001, ) – Director, Imagery Sales – GIS (Geographic Information Systems) (1711-205) Click here for full details. August 5, 2014 – (, Quantico, Virginia , US) – USMC Ground Combat Acquisition Analyst Click here for full details. August 5, 2014 – ( Phoenix, Arizona, United States, 85012 , Phoenix, Arizona 85012, USA) – Lead Critical Facility Engineer Click here for full details. August 5, 2014 – (, Camp Pendleton, California , US) – Tactical Training Support Mid Click here for full details. August 5, 2014 – (, Ft. Hood, TX 76544, US) – Laborer – Grounds Maintenance (1816-205) Click here for full details. August 5, 2014 – (East Coast, Stratford, CT , ) – S-70i Instructor Pilots Needed / Urgent Click here for full details.